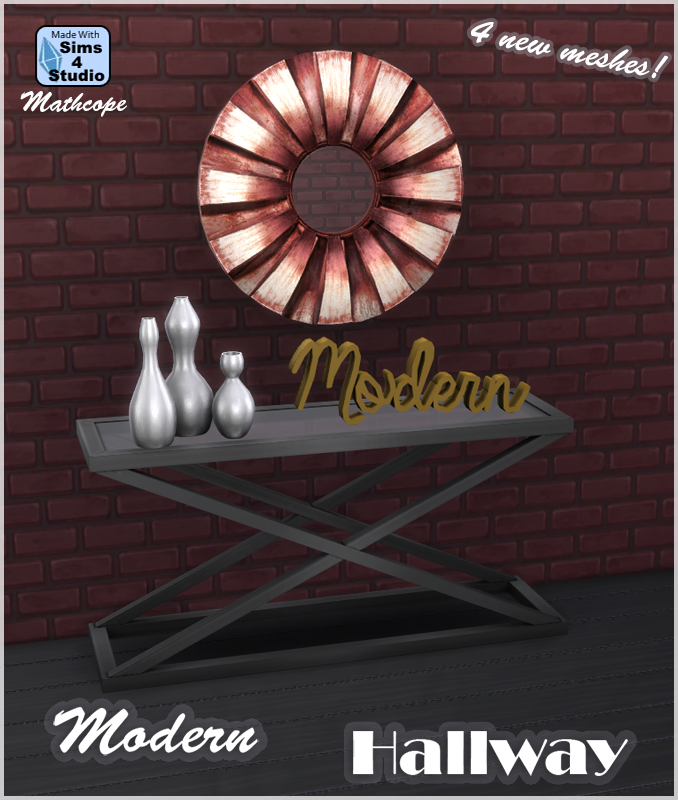 This is more of a personal tweak I needed for my game, I'm a really big fan of undercuts, the ones that EA made are pretty good, but by far my favourite is this one included in the Spa Day pack. 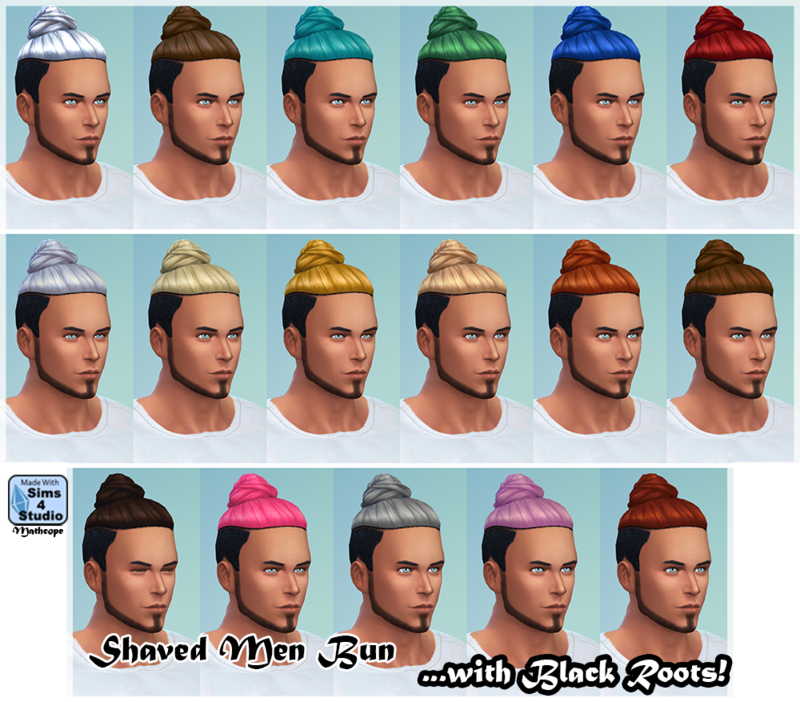 However, as in the Sims 4 we don't get to choose the color for each part of the hair, they are mostly a full color. I wanted to make the roots of these hair black, the look is to increase the realism of a dyed hair. I thought about keeping this to myself, but how know? Maybe someone loves undercuts too! 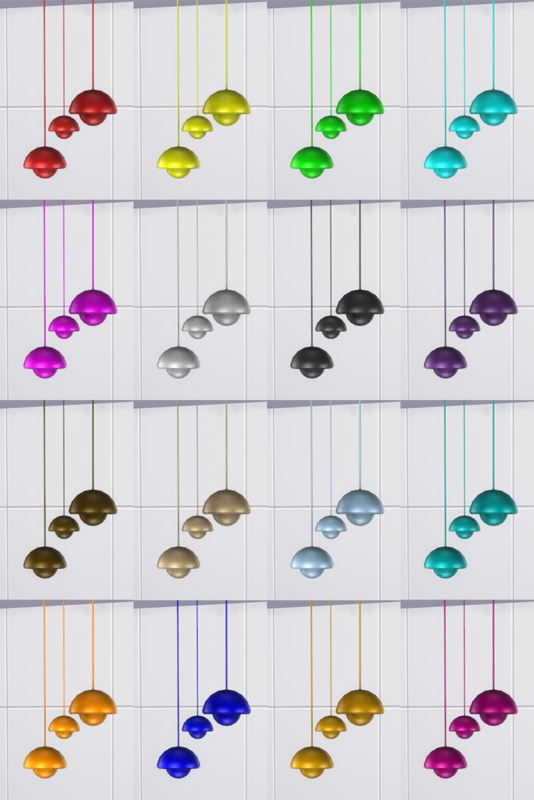 Anyways, here they are, I've recolored all the EA colors (except for the black ofc). This is also result of experimenting with tutorials. 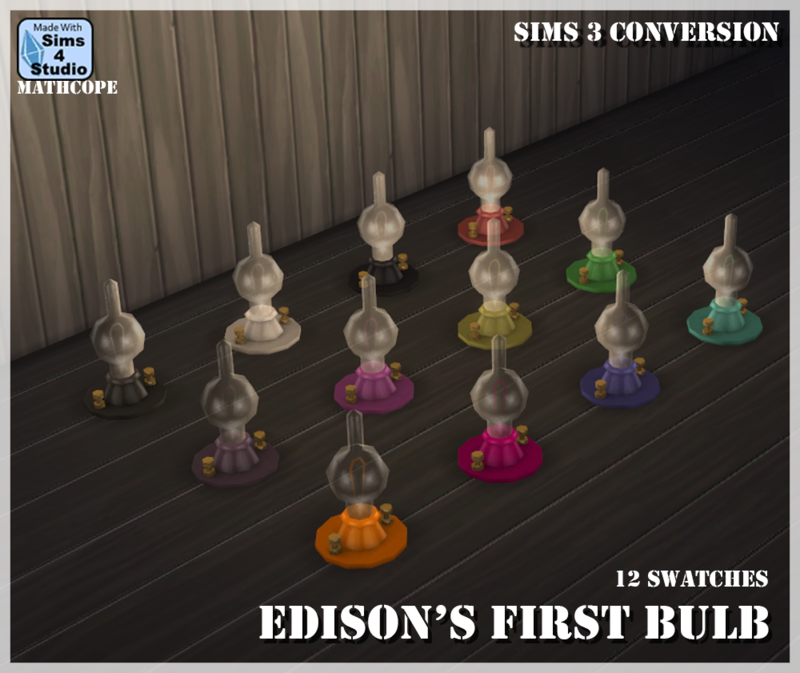 I used IT as a guide for getting to know the CAS items better. I liked the result a lot so I decided to share it. This is a new set for the outdoors of your sims. 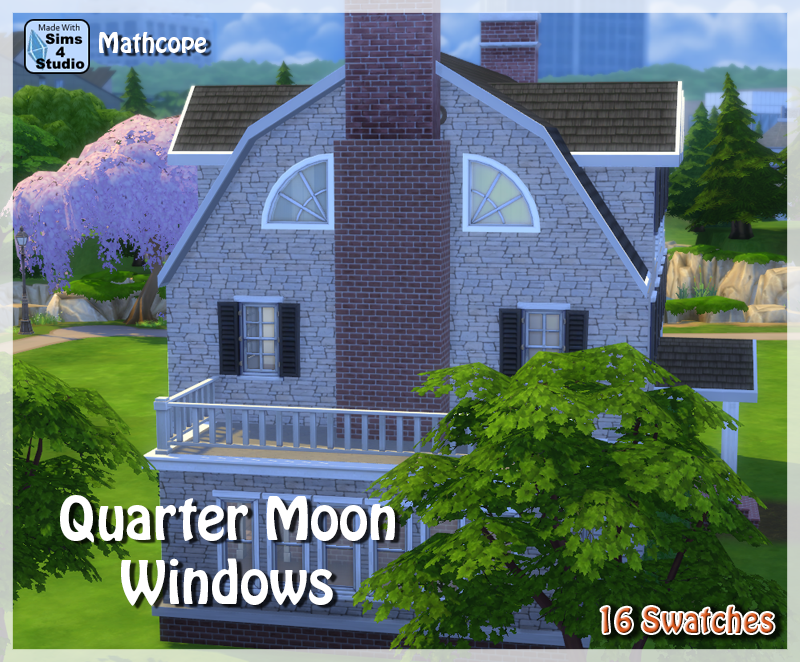 It includes 6 new meshes. 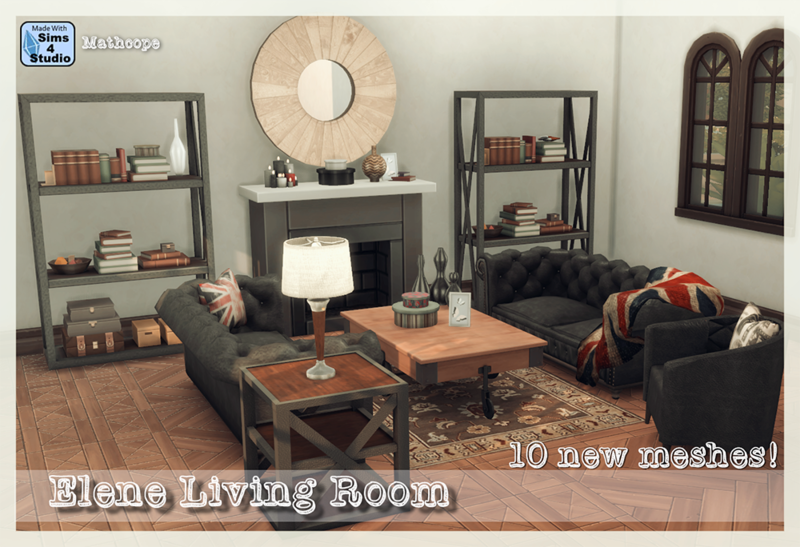 Coffee Table, Loveseat, Ottoman, Dining Table, Dining Chair and Candles. Each of them have several wood swatches, it includes 10 different ones. 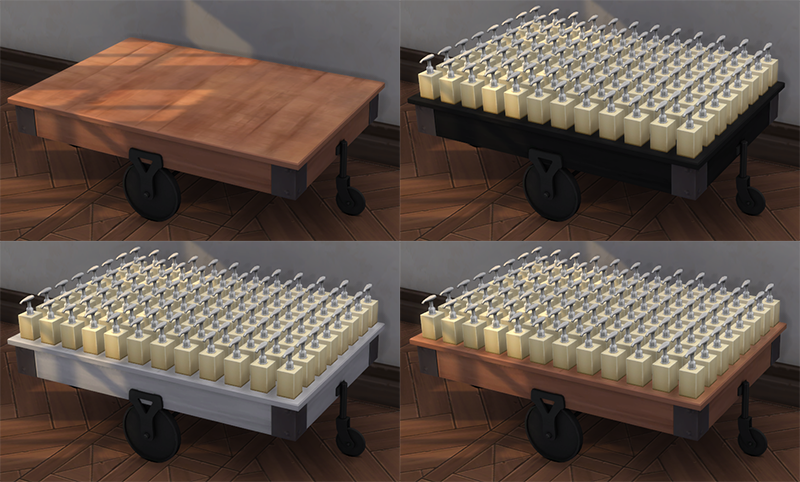 *The coffee table has 90 slots, including small, medium and large ones. *The candles have 22 different swatches including, red, blue, white, black and yellow wax texture. 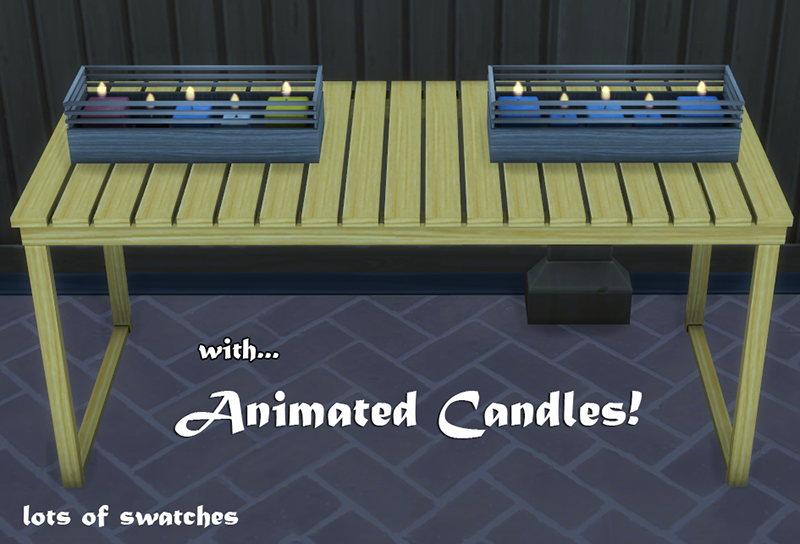 As well as the last object, the candles of this set are animated, meaning that an animated flame will display each time you turn the light on. This is a female to male conversion of a Sims 4 Get to Work expansion pack hair. I know myself that many people have already done this one but I still wanted to tried myself, my version out of it. This was the result and I decided to share it. However, This original mesh belongs to EA. As you might have noticed already I have an obsession with colored black roots undercuts. This is the bun from Get to Work and it has been recolored with the black roots. This was a request from brittpinkiesims . 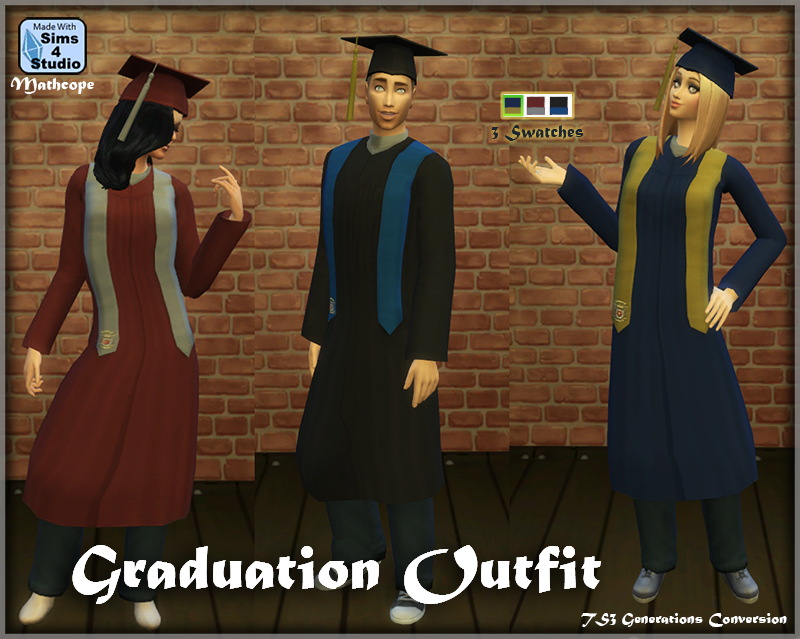 It is a conversion from the Sims 3 Generations graduation gowns. 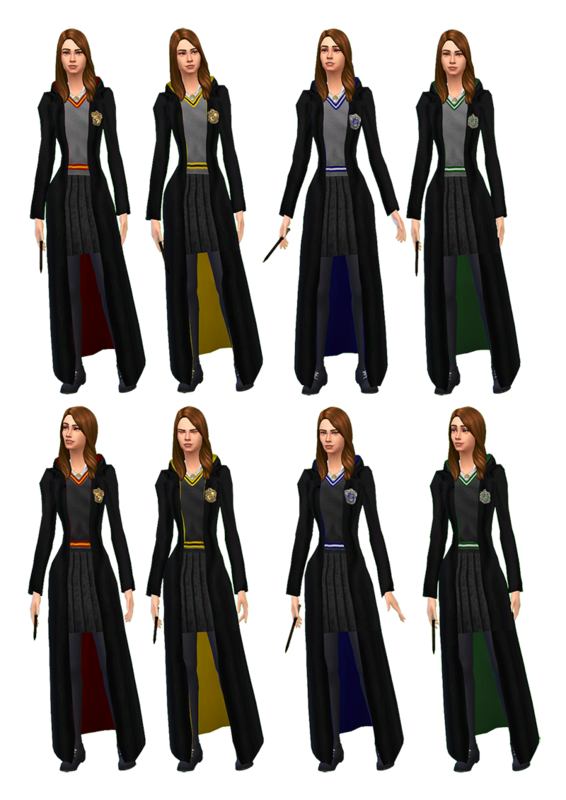 There is one for male and female in three diferent swatches (same samples EA used in The Sims 3). 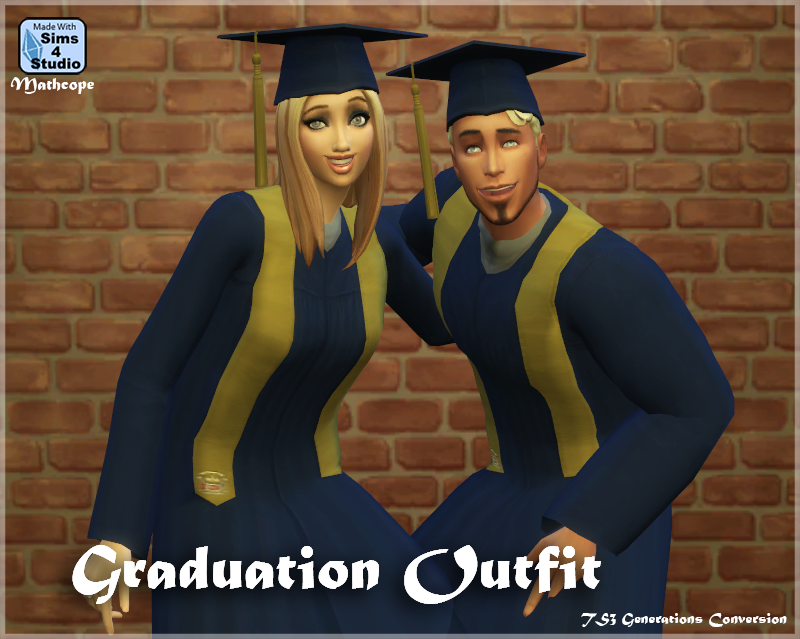 The graduation cap is under the hats category and the outfit under the fullbody outfits. 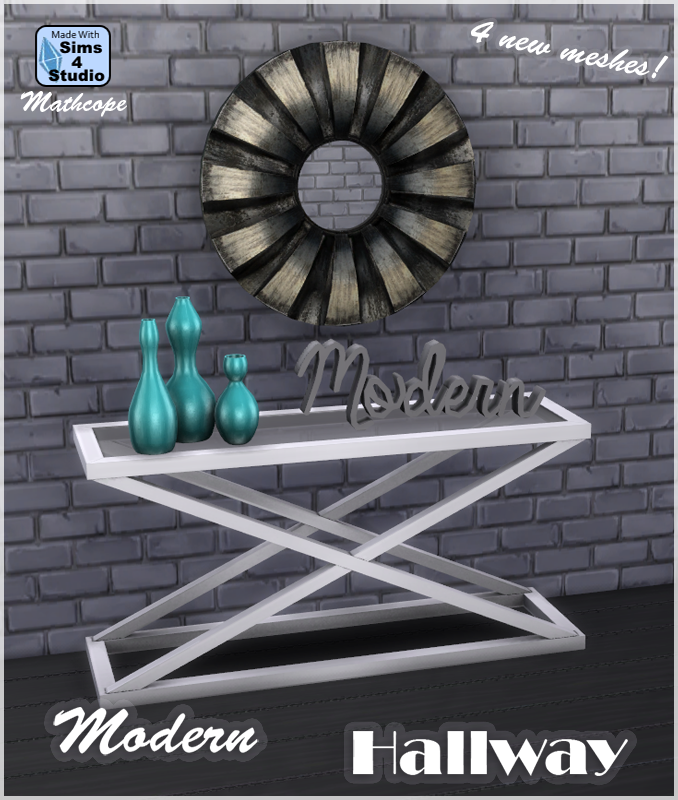 requested me a hallway table while ago so I bring it now in a new mini-set. This is one of the items requested and I tried to make it as similar as possible to the original picture. 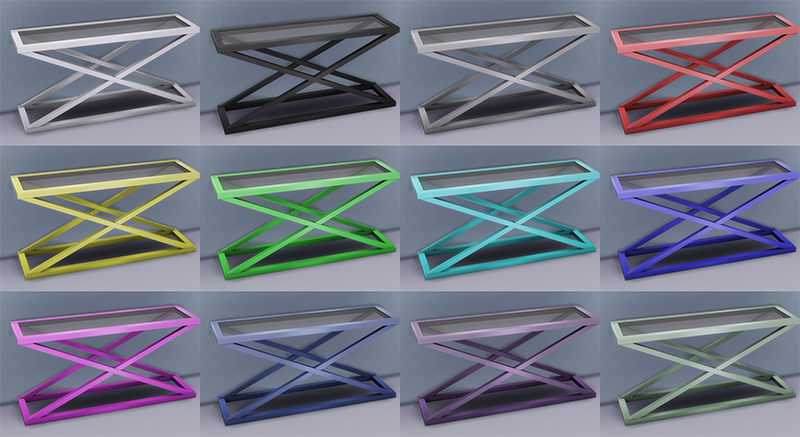 However some metal reflection effects are really hard if not impossible to get in The Sims 4 as it is right now. So I hope you still like it. *The mirror can be dragged up and down in the wall. You can also press Alt while placing it to get the exact place you desire. *The Hallway table has an incredibly high number of slots, including Small, medium and large ones. Basically it is full of them all over the surface. 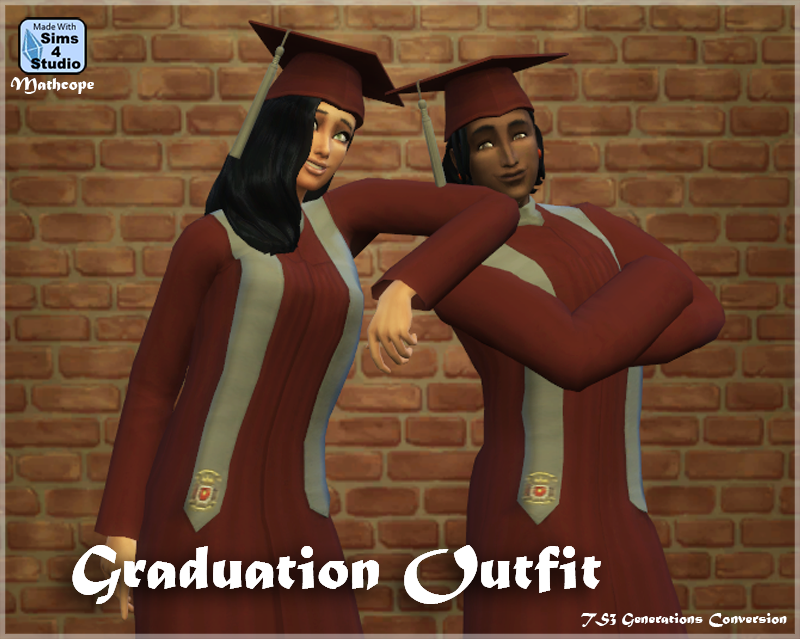 This is a conversion of the Sims 3 University graduation outfits, this version is different from the Generations expansion and has more details in the back. 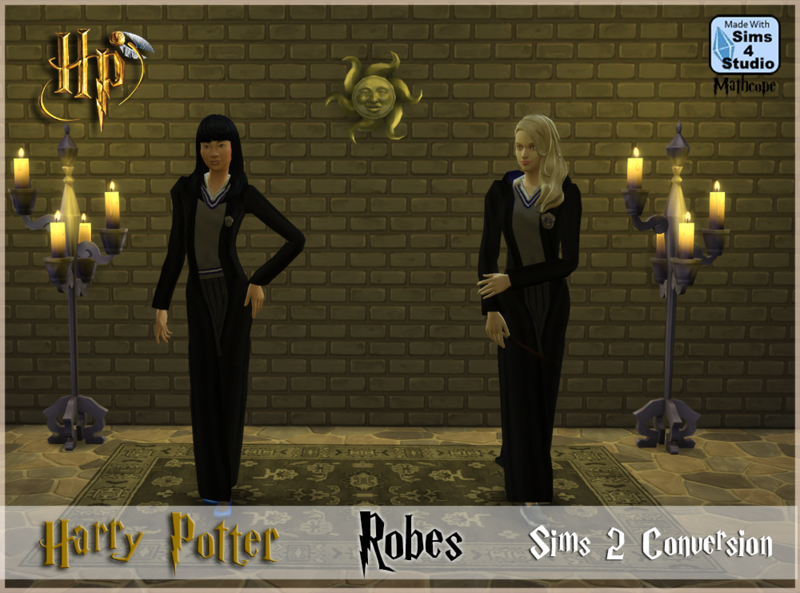 This was a request from brittpinkiesims , as you know already I expect the recolors soon! I hope you find this useful. 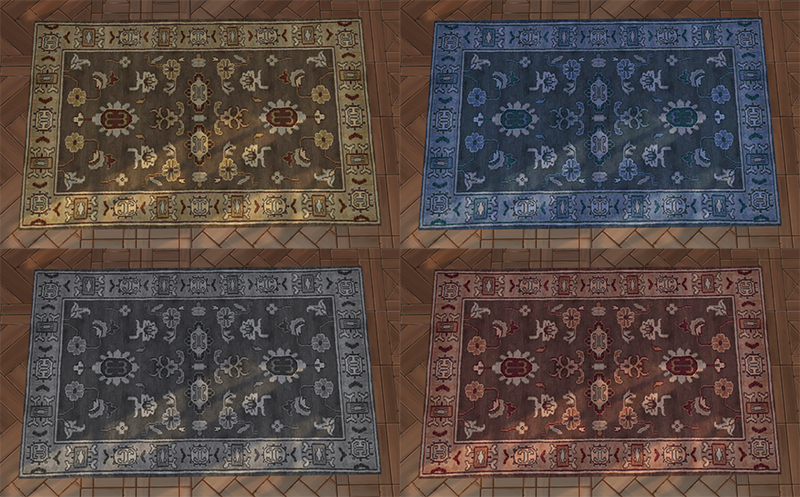 *It comes in three different swatches as the original Sims 3 ones. *You will find three packages. 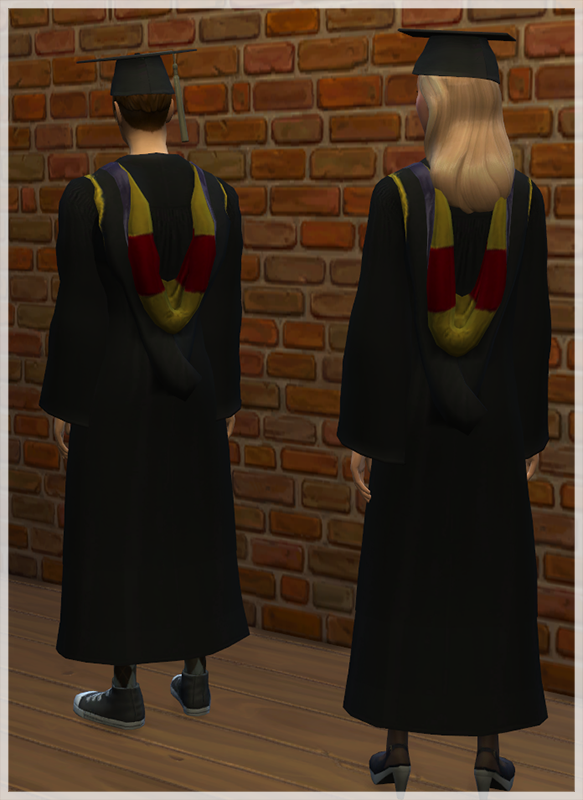 The outfit for males and females in one, and then the graduation caps separately in male and female. *If you wear boots keep in mind that they might look awkard in the connection with the lower part of the gown, if you can avoid it. This is a windows made for a request here in the forum. It comes in 16 different colors. 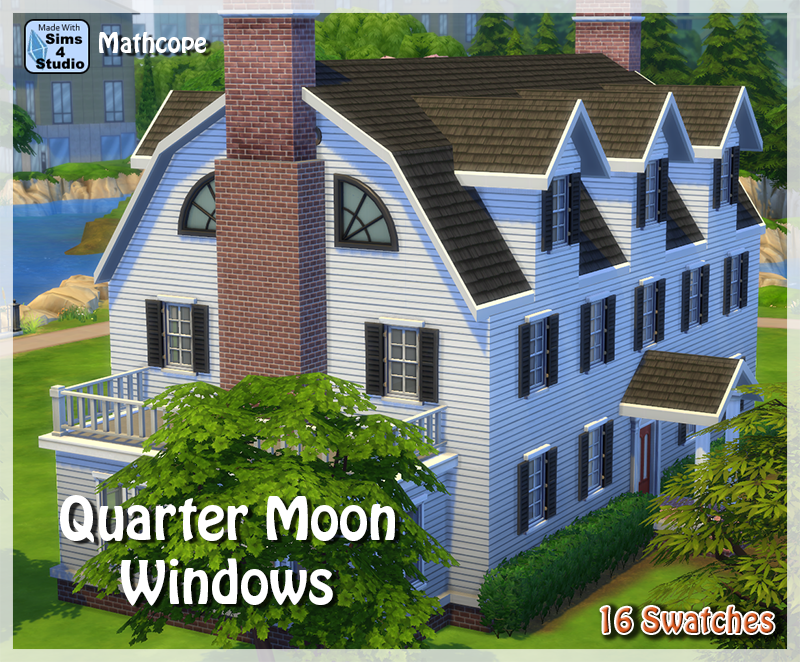 It is inspired in the famous Amityville house. 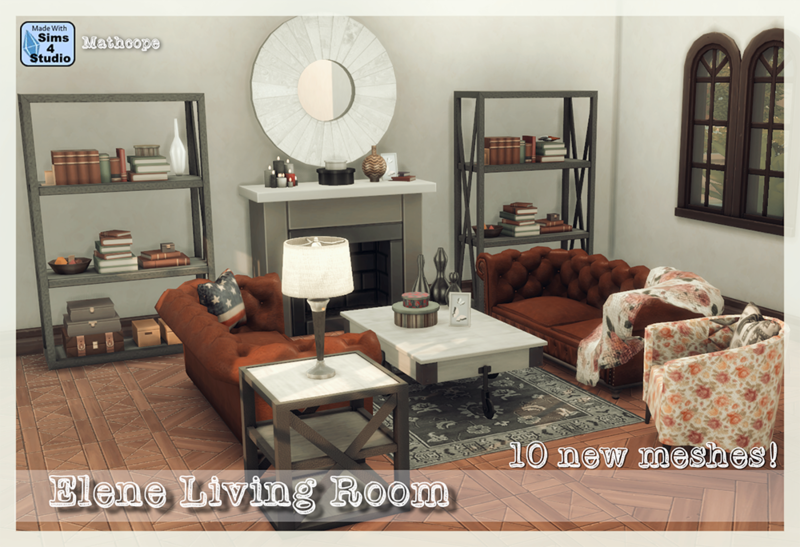 I saw a living room picture in a magazine and I fell in love with it. I tried to match as well as posible to the inspiration picture. However I add a lot of things by my own. I think is the most complete set I've done. At least the one I've put so many hours. All the meshes are done from scratch by me. 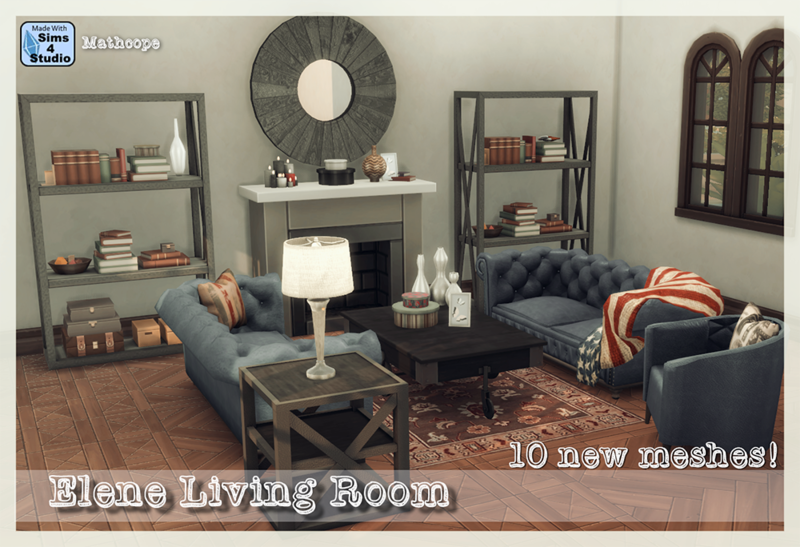 The featured item of this set is the "chesterfield loveseat". I've seen some of them converted to The Sims 4 but there's not many of them out there. Personally it is a style I love and for that reason is that I decided to make my own. I tried to make a balance in good looking and poly-count (You would imagine that that effect requires a lot of polygons). This was also my return to using 3ds Max and the process of re-learning it. I think I achieved a great result and I'm really proud for it. I hope you like it as well. LOD0 1162 vertices/ 1190 polygons. LOD0 244 vertices/ 238 polygons. CoffeeTable: 3 Swatches. 132 Slots including Large, medium and small all over the surface. HIGH POLY. LOD0 7059 vertices/ 3610 polygons. 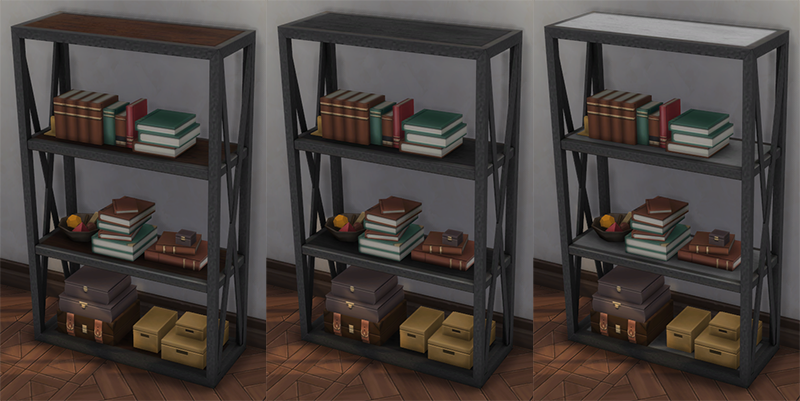 Bookcase: 3 Swatches. 44 Slots including Large, medium and small. 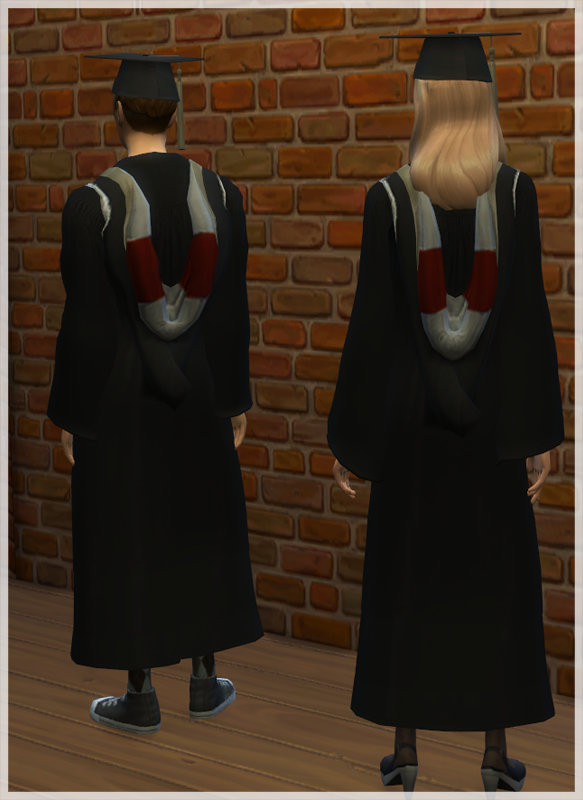 Comes with decorative books and misc items in the mesh. LOD0 1291 vertices/ 706 Polygons. Endtable: 3 Swatches. 78 Slots including Large, medium and Small. LOD0 520 vertices/ 278 Polygons. 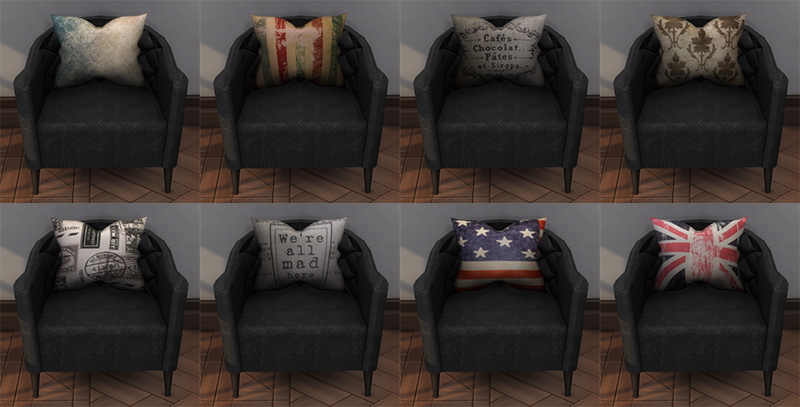 Pillows: 8 Swatches. Footprint removed, no need to use cheat to place. Hold ALT while placing to move exactly in the place you want it to be. They work for the Loveseat and the chair. Loveseat Cover: 4 Swatches. Footprint removed, no need to use cheat to place. No need to hold ALT to place it correctly. The cloth will "fit" in the loveseat arm you just need to move it to place it correctly. LOD0 1029 Vertices/ 2048 Polygons. 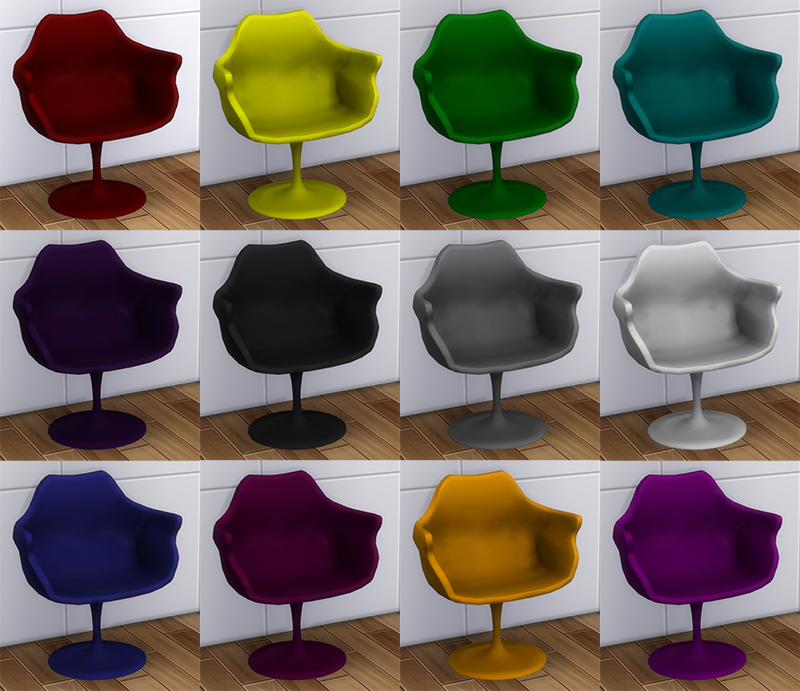 Living Room Chair: 16 Swatches. LOD0 1637 vertices/ 2273 Polygons. Loveseat: 16 Swatches. HIGH POLY, optimized the most without loosing quality. LOD0 4171 vertices/ 6474 Polygons. This is a request someone made in the forum. k I hope you like it. 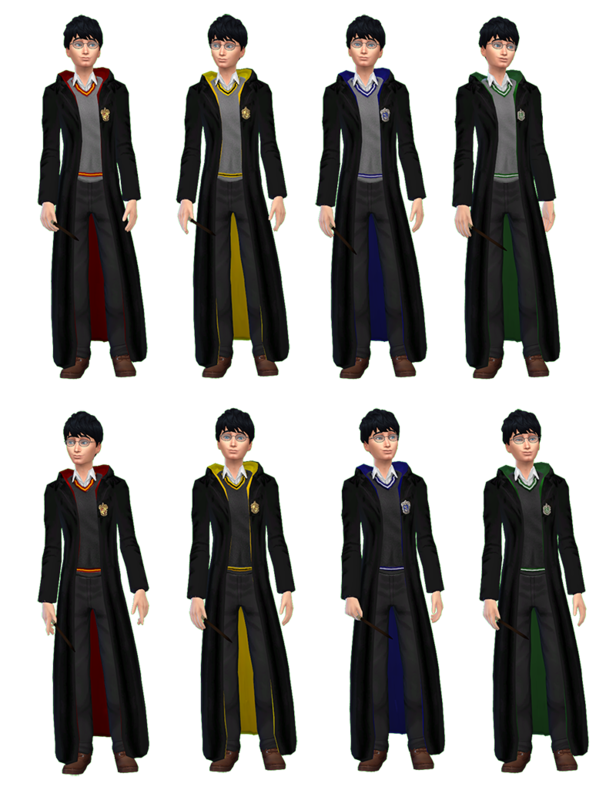 You can recolor as many swatches as you'd like or resize the mesh to your needs. 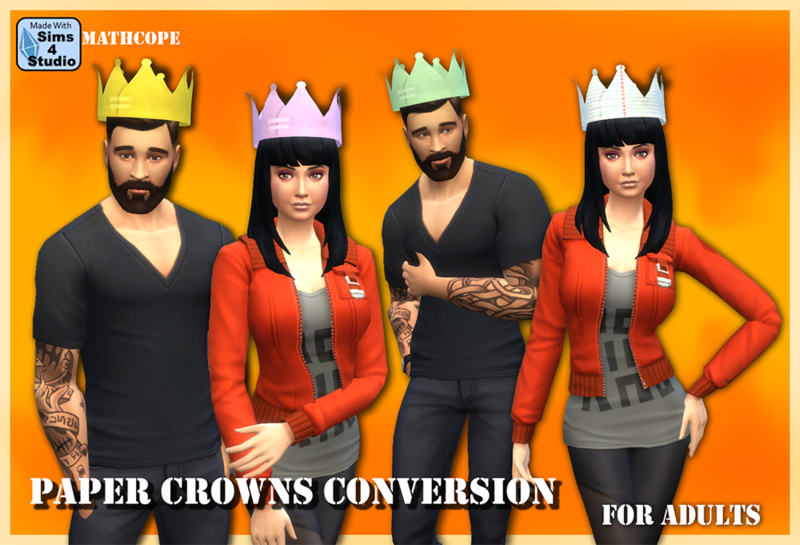 It is a conversion from the Sims 3 paper hat from Generations. The mesh is originally made for kids, but this file will include it for adults only. *One conversion from Sims 3. * 2 items included in the same package. For male and female. * Original EA swatches plus one requested. *The hat won't work for all hairstyles without clipping issues. There's nothing that allows to ajust to the hair. That is why it might look big for short hairs. *Following the above, it doesn't work with hair chops, because otherwise you wouldn't see hair in the inside of the crown. LOD0 449 vertices/ 436 faces. If you have any suggestions/trouble PM me. This is a request from an user in the forum. 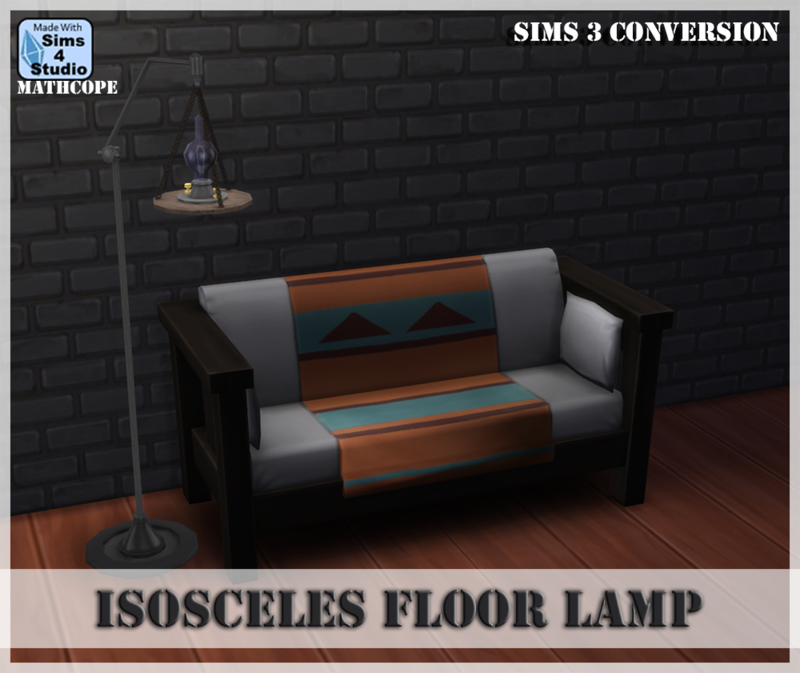 It is a conversion of a lamp from Sims 3 Pets. 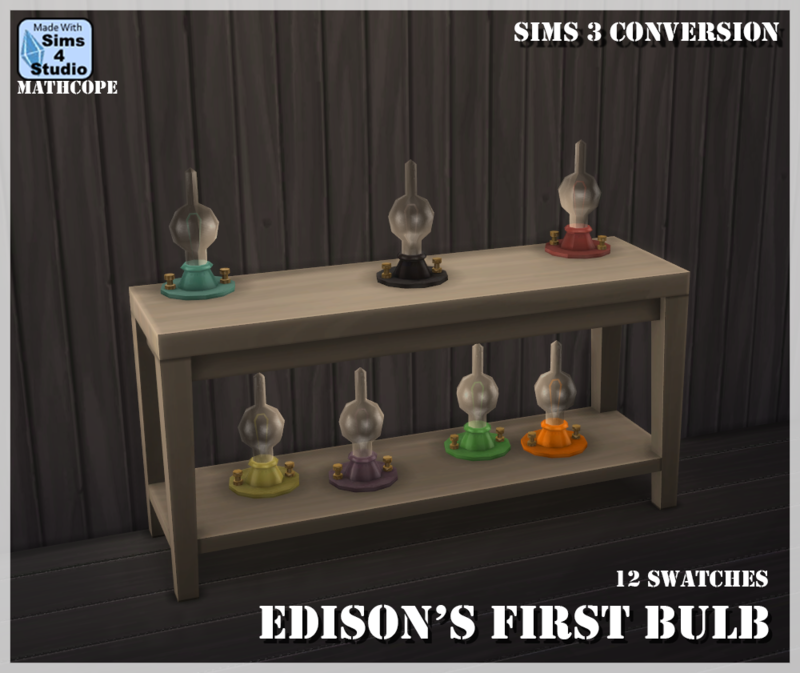 It comes in the three original colors EA used for the Sims 3. LOD0 901 vertices/ 890 faces. This is also part of the same request from above. Someone was looking for a mesh edit in the lamp. Spliting the bulb from the hanger I've created this lamps. *12 Swatches, original plus extra colors. 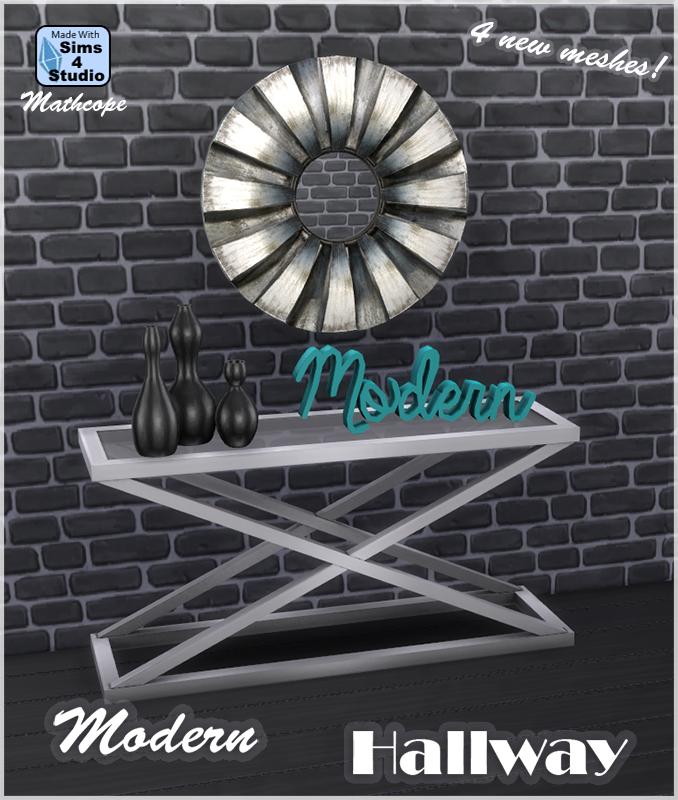 *2 New Meshes. Table Lamp and Wall lamp. 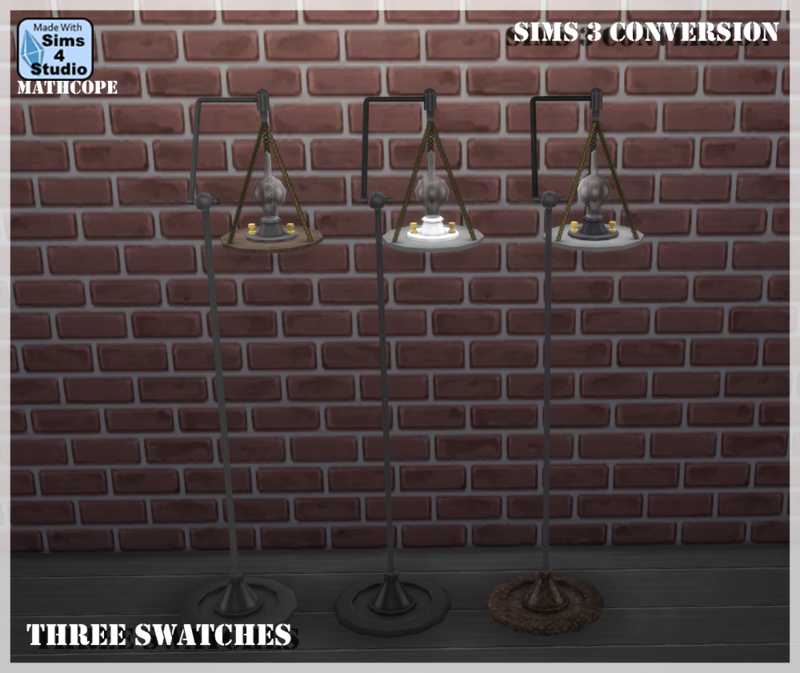 The mesh is the same for both lamps. LOD0 336 vertices/ 342 faces. 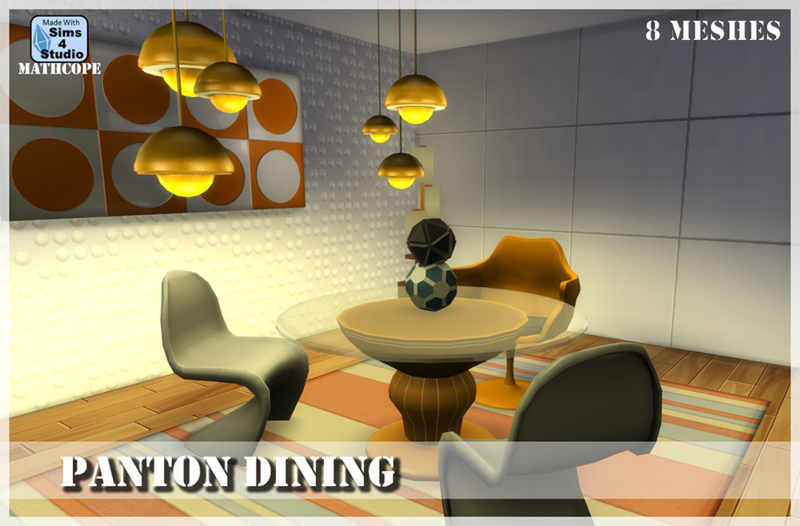 I've been wanting to do the panton chair for long. Now I finally got it done. 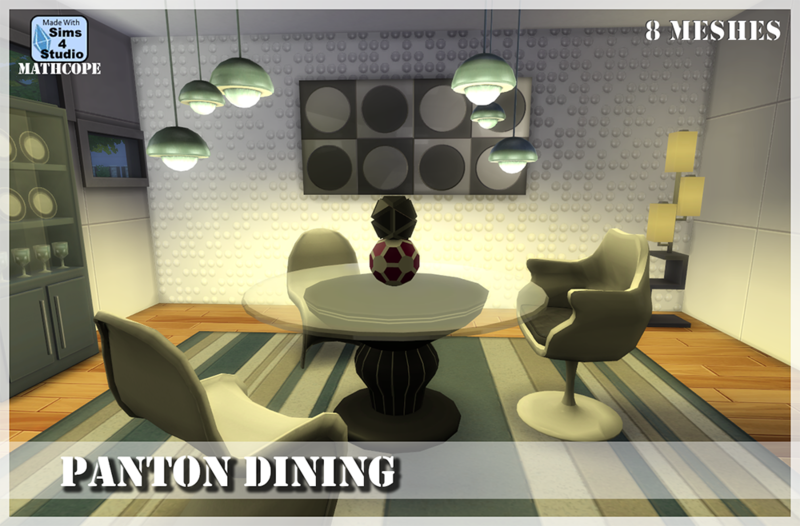 This is a dining room set with 8 new meshes by me. 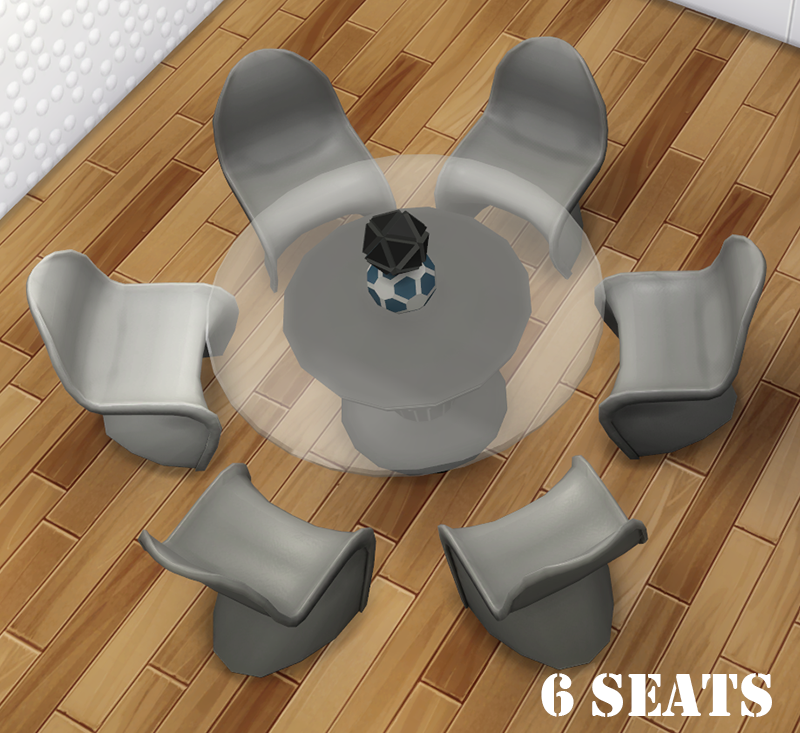 It also has the feature of a round dining table. (See credits) The general set is supposed to have a "plastic" look and every item is made of it. It is a little unconversional but I'm pretty happy myself with the result. It comes in several swatches. 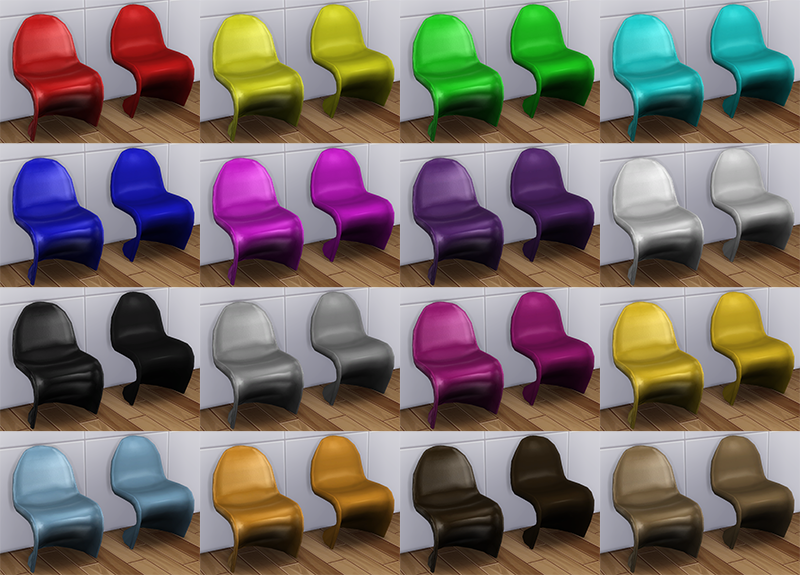 I spent a lot working on the chair meshes too. Although is not a way complex item keeping it low poly is the most difficult task. Hope you like it! 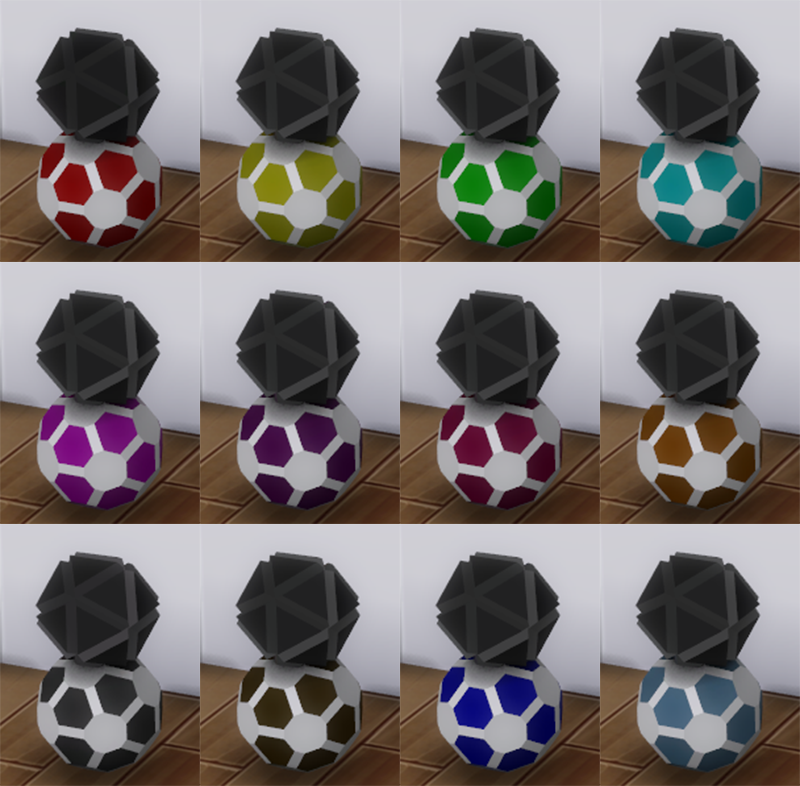 LOD 0 502 vertices/ 658 polygons. 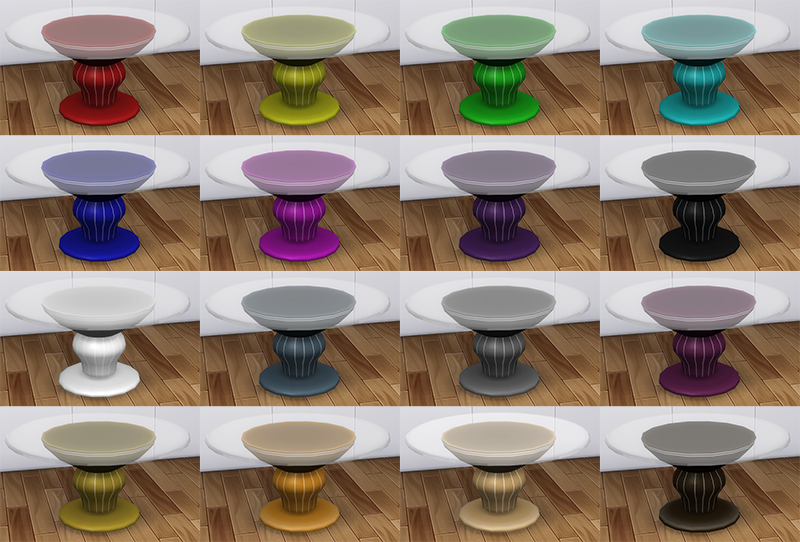 Panton Dining Chair: 16 Swatches. LOD 0 645 vertices/ 908 polygons. LOD 0 809 vertices/ 1267 polygons. Comes separated of the cushion for more variaty. LOD 0 736 vertices/ 354 polygons. This was a result of playing with 3ds. The result is abstract but pretty interesting. LOD 0 984 vertices/ 1344 polygons. LOD 0 40 vertices/ 30 polygons. 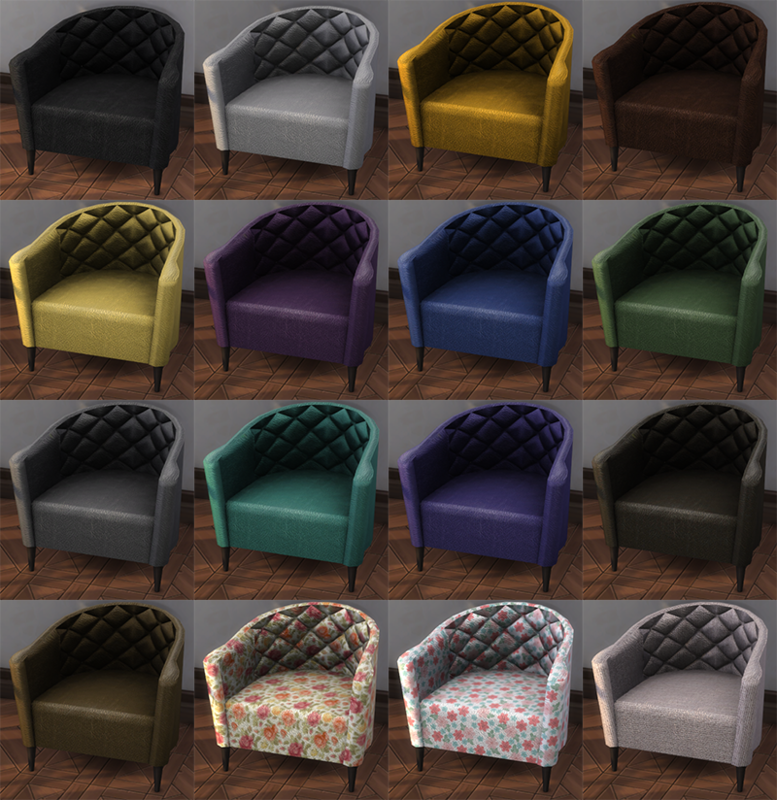 Tulip Chair Cushion: 14 Swatches. LOD0 558 vertices/ 866 polygons. 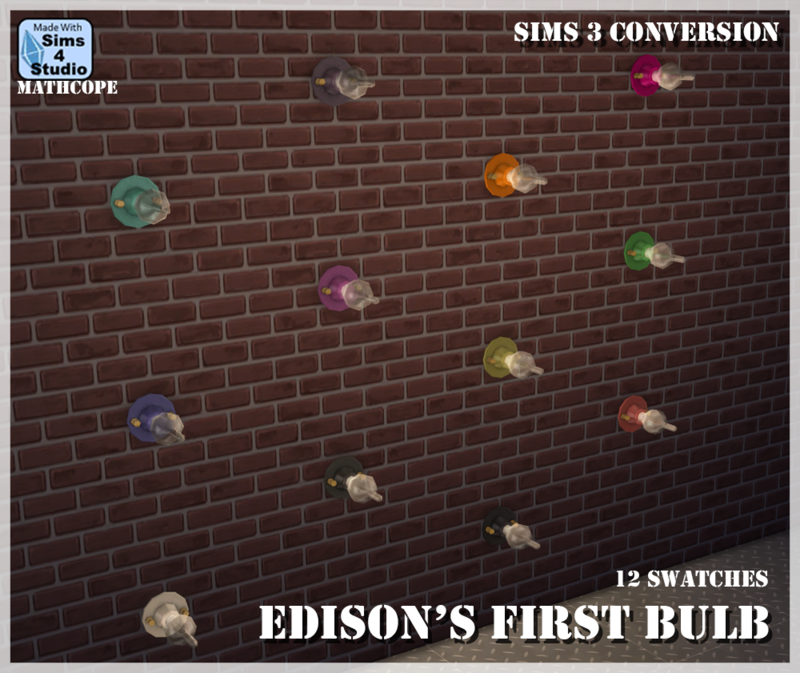 Removed footprint so it will not conflict with sims interactions. You can hold ALT to have a better control of the placement. ingejones for the round table footprint/slots you can find the original HERE. 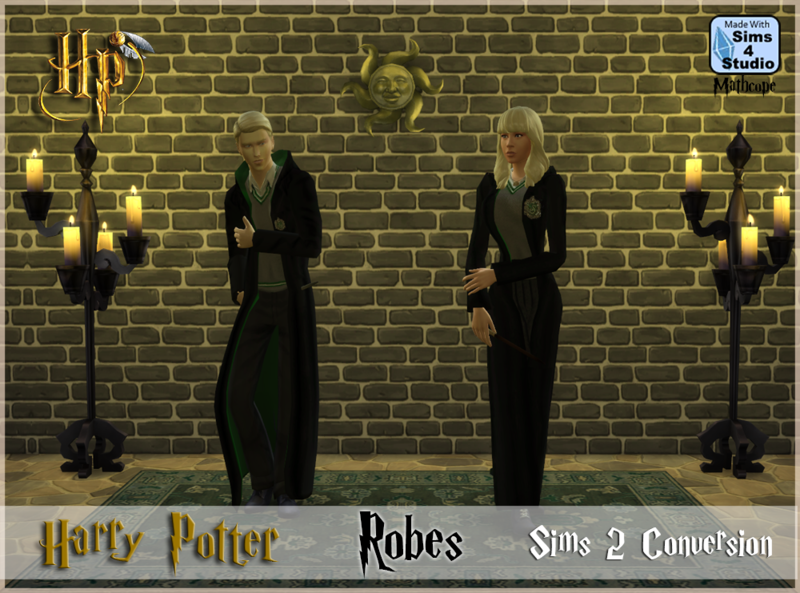 kelna requested in the forum a conversion of some Sims 2 CC Harry Potter robes. After some time working on it I finally decided to share it. 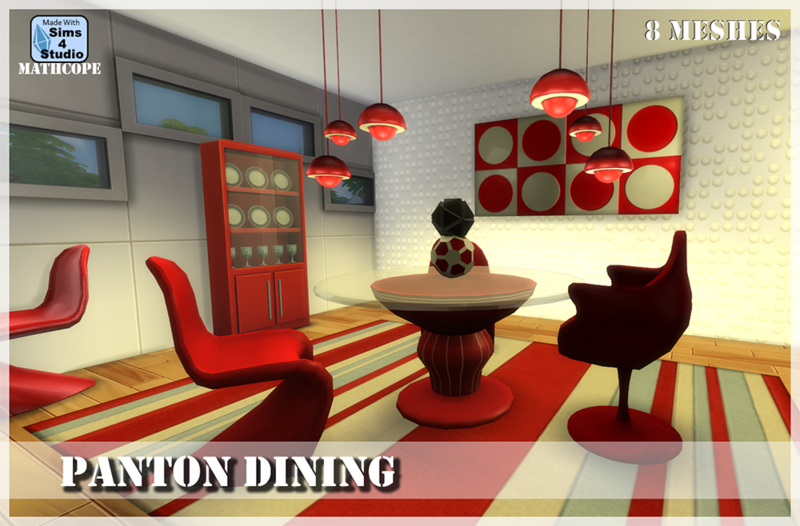 Although you may feel like the style doens't fit, remember that this is a Sims 2 mesh from a game some years ago. 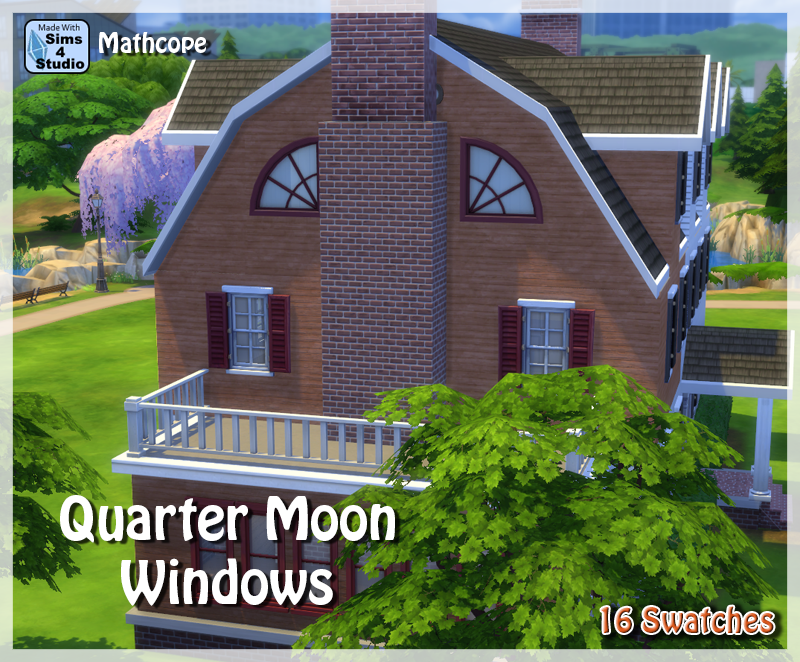 However I think it's still a extraordinary work from the original creator and it looks good in Sims 4 too. 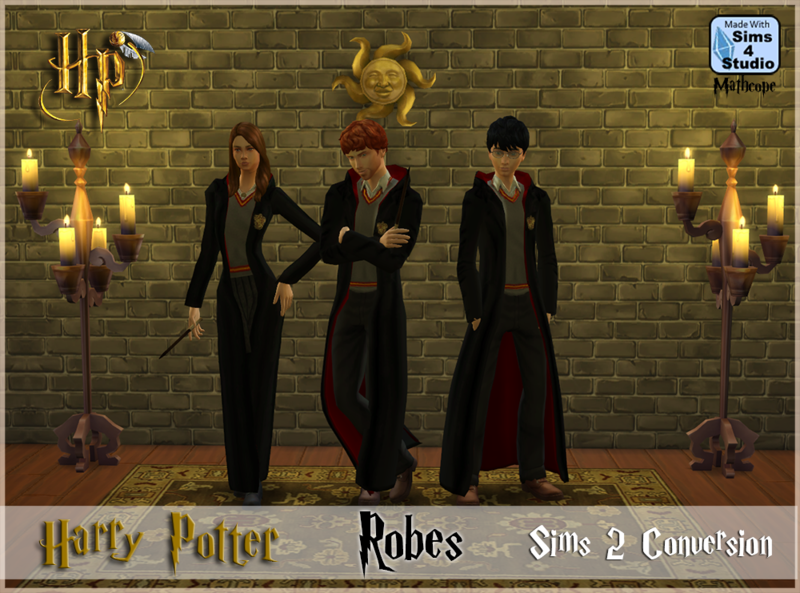 So, for every Harry Potter fans out there (including myself) here you have something new to play with! Hope you like it . *Male version not compatible with high boots. *Not opposite gender allowed. (I tried, but the meshes doesn't work like that automatically and were designed to work with Sims 2 female and male topology. 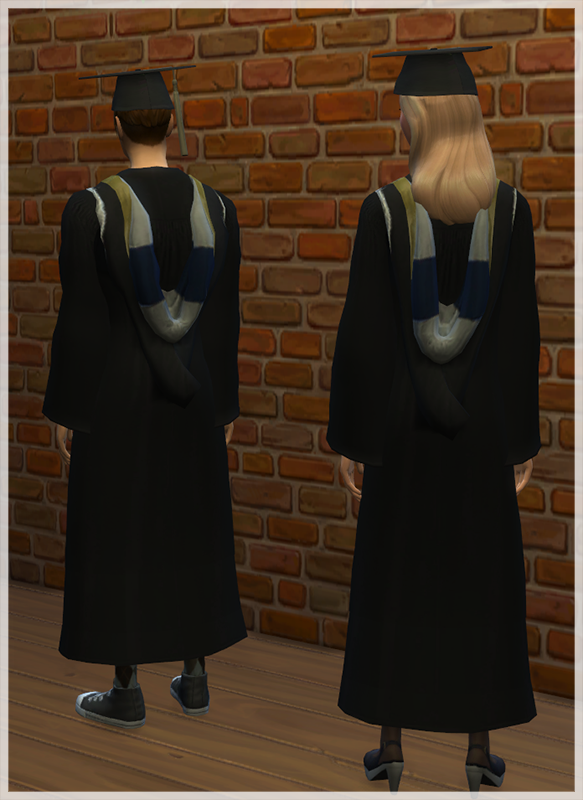 Male robes doesn't have the many vertices to work a breast and it will end up in a bad looking deformation). If you'd like to try it anyways you can easily edit it with Studio and you don't need any permission to do it in your personal game. 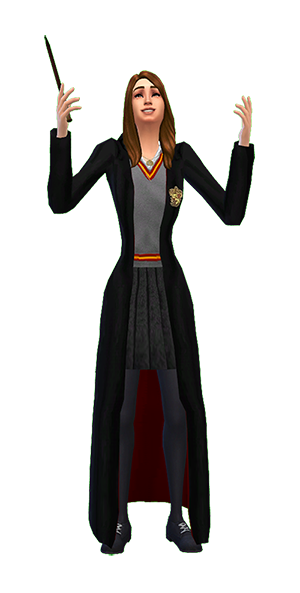 +Plus+- You can try looking at brittpinkiesims tumbrl where she shares a bunch of stuff about Harry Potter you can combine with this robes. The work she've done is amazing for all the HP fans out there. Definetly check it out. HERE (Scroll down to Harry Potter list). cloudlessnights for the original Sims 2 meshes. eliavah for the awesome tutorials and video guide. Thank you! pickypikachu for the wands, you can download them HERE.